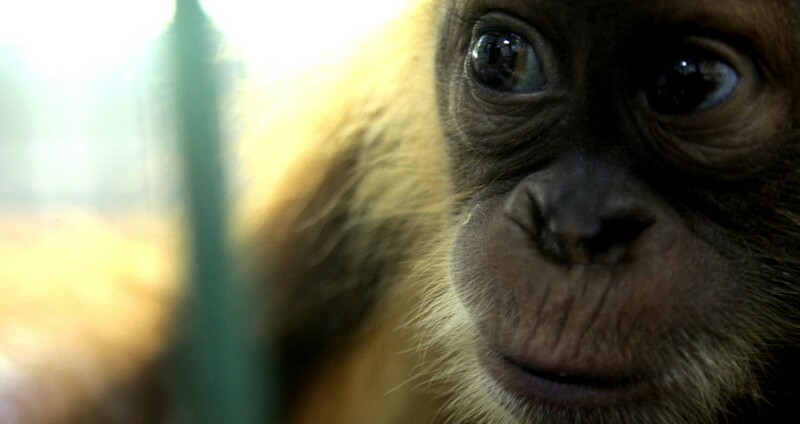 Dennis is a tiny baby orangutan who was confiscated on February 21 2015 from an illegal trader. Dennis was torn away from the arms of his mother in sumatran forests and most probably his mother was brutally killed by palm oil workers. Normally, Dennis would still be loved and cared for by his mother for at least another 6 years, gaining the skills and knowledge needed for an independent existence and the love needed for personal development. A mother orangutan will never abandon her baby without putting her own life at risk. Palmoil plantations are developing rapidly for which primary rainforests are being destroyed and orangutans and all other exeptional fauna and flora of the unique Indonesian rainforest fall victim.